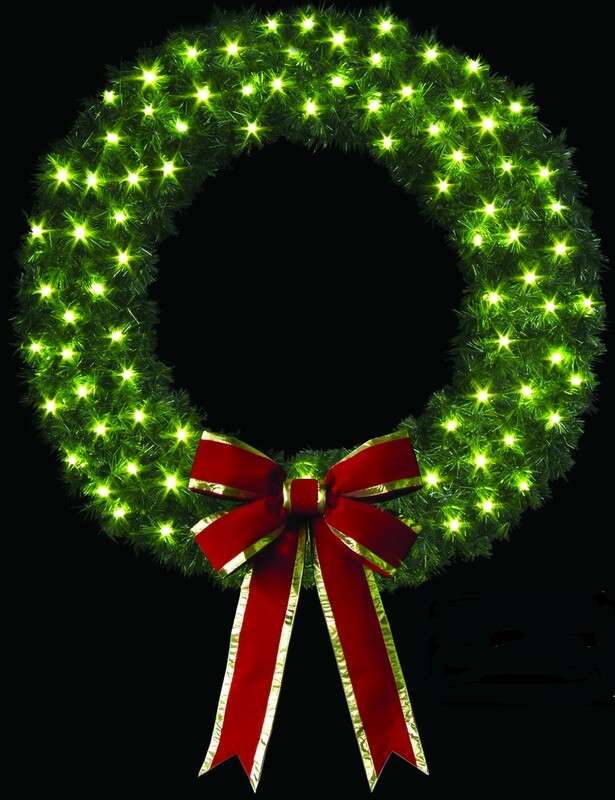 SHOWN IS OUR 6' REFURBISHED ROCKY MOUNTAIN PINE BUILDING FRONT WREATH WITH 80 C-7 INCANDESCENT CLEAR LAMPS, RED/GOLD IMPERIAL BOW AND ROCKY MOUNTAIN PINE MIX GARLAND. 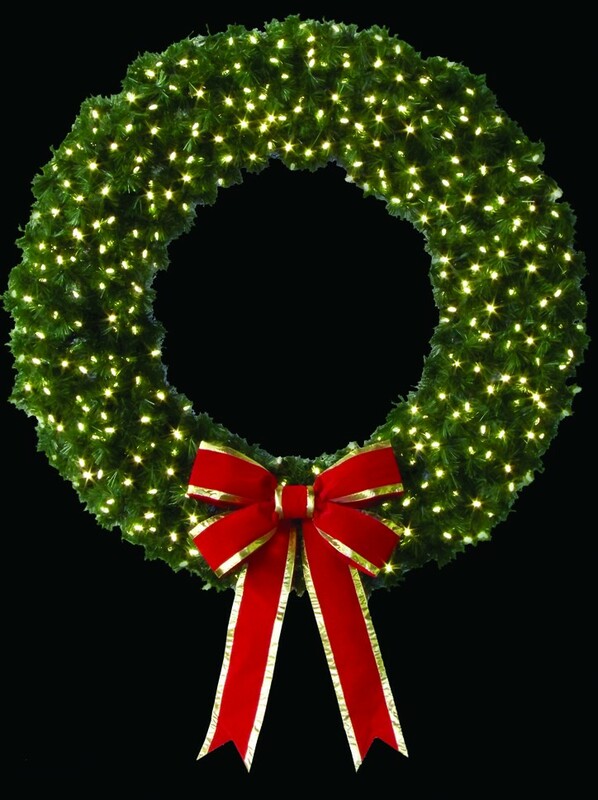 WE HAVE SEVERAL SIZES OF OUR REFURBISHED ROCKY MOUNTAIN PINE WREATHS AVAILABLE: FOUR (4) 4' WREATHS; TWO (2) 5' WREATHS, FOUR (4) 6' WREATHS, TWO (2) 8' WREATHS AND ONE (1) 12' WREATH. CHOOSE YOUR LIGHTING, GARLAND AND ORNAMENTS. THESE ARE BUILDING FRONT (SINGLE-FACED) WREATHS. CALL FOR ADDITIONAL OPTIONS AND PRICING!